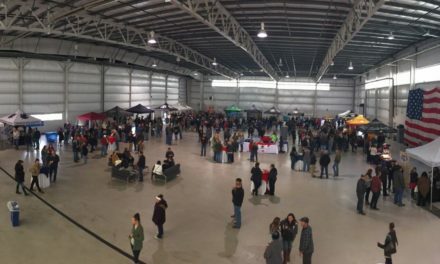 If you live under a rock, are new to the area, and/or new to craft beer, wine, or cider in Loudoun perhaps then you can be forgiven for not having heard of Corcoran. 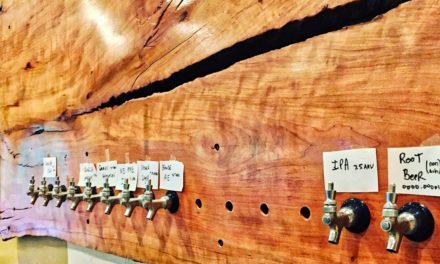 The Corcoran family began by opening Loundoun County’s 11th vineyard to the public in 2004 and the beer followed 7 years later. 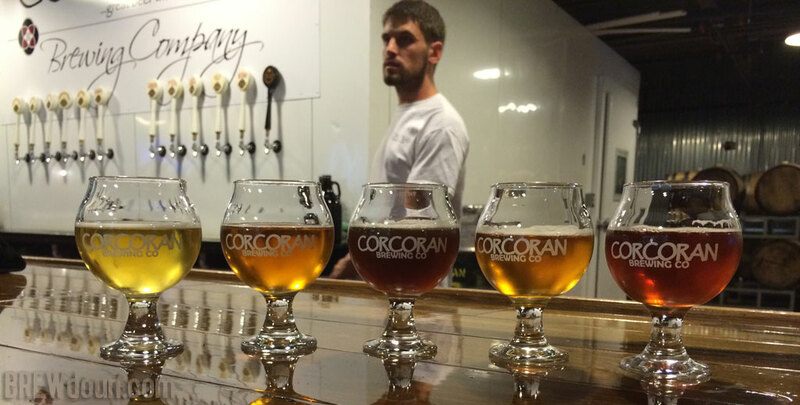 According to brewmaster Kevin Bills, Corcoran began brewing beer on a 1/2 barrel system in 2011 at Corcoran Vineyards. 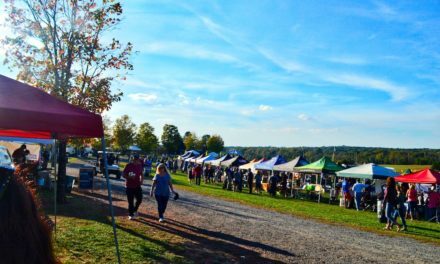 After success onsite in the vineyard “Barn” created a need for greater capacity, Corcoran looked for a new home in Purcellville. 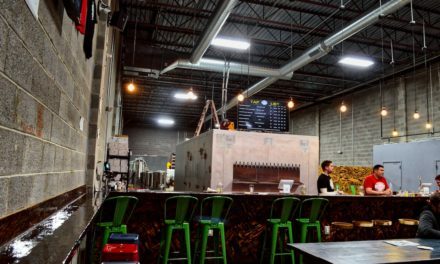 When I asked how they settled on an office building next door to an urgent care facility, Kevin answered with a question “Where should a brewery be?”. He continued on, telling me that they investigated several locations but ultimately decided on the location at Hurst and Maple Rd because it had the right space and accessibility for the right price. Adding “Beer lovers are used to going to industrial parks to find great beer, why wouldn’t they come here?” It appears he was right as they have come en masse. Corcoran is now humming along on a 10 barrel system! 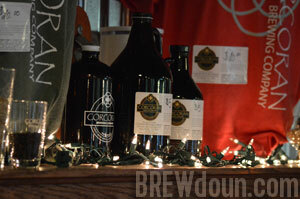 Corcoran Brewery is located at the intersection of Maple and Hurst Rd, adjacent to Rte 7. 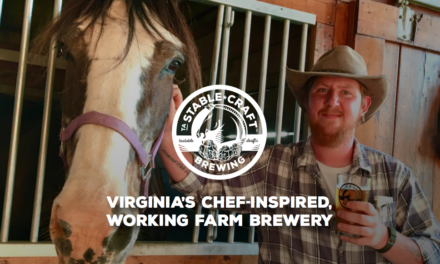 With its proximity to the Berlin Turnpike exit off the 7, this brewery would likely be a first stop on your Purcellville area beer trail. Located in the back of a mixed-use medical building, Corcoran has repurposed what looks like an old fermenter as a permanent sign. They also place smaller lawn signs near the road on days they are open. With the benefit of relative privacy in the lower level of their building, Corcoran faces a small park/picnic area on a private offshoot from the W&OD Trail. There is plenty of parking and on a nice night you can catch live entertainment on the expansive outdoor patio area. 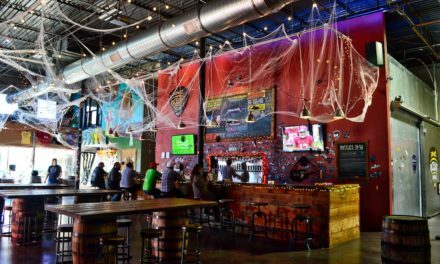 The interior decor is in keeping with other area breweries; minimalist in design with a few bar top tables, televisions and a standing bar. 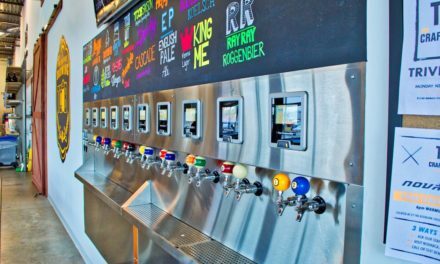 Aside from a wall of taps that backs to the walk-in cooler, theres not much that separates the brewing process from the customers. This can be good for those that value being immersed in the experience. Additionally visitors can buy growlers, t-shirts and other branded merchandise to the left of the bar. Waiting for a chance to order a flight of 5 to sample, the standing bar is elbow to elbow with eager beer lovers. Corcoran has 12 beers on tap so I have to choose wisely. Thankfully Trevor the bartender is there to help me sort through the options. Limited to 5 for the flight tasting I had to include the well recommended LoCo as IPAs are my favorite. LoCo is one of the best IPAs I’ve had in Virginia, it has the right amount of hops and an even medium flavor throughout. One of the marks of a well crafted IPA is when the beer brings your attention to the complexity of the flavor so completely that your surprised to see what the ABV is. LoCo drinks like a 5 ABV but its actually a 7.2! I requested recommendations from Trevor for the four remaining beers and they were all excellent. The Corktoberfest was a balanced Märzen-style beer with a great finish. Comonwealth was light and drinkable like something you would have on the patio on a summer evening. The Newton Alt is an excellent brown ale with noticeable chocolate notes! The surprise of the bunch for me was Hops the Bunny, a “hoppy” brew with an even finish, I definitely recommend giving this IPA a try when you visit. Corcoran is proving to be a well established and respected entity. With Corcoran Vineyards, Brewery and new Cidery one thing is for certain, Corcoran is established and ripe for growth. No Loudoun County tour would be complete without a visit. Berlin Turnpike Lager – German Pilsner ($4.50 / $5.7~ / $9/ $16.50) 5% A.B V,I 33 IBU, 3.2 SRM Probably the most basic, yet complex, beer we brew. A single malt (German pilsner malt) and German Hallertauer Hersbrucker hops create this light gold, crisp lager. Jeb Stuart Stout – Imperial Stout aged in bourbon barrels ($5/ $6.25/ $8.75/ $16.5) 9% ABV, 57 IBU, 35 SRM A nice strong, yet still light bodied stout, aged in Bowman Distilling Bourbon barrels. History lesson: Jeb Stuart was a General in the Confederate Army of Northern Virginia. While very successful in many local battles, he Is also partly blamed for the loss at Gettysburg. Hops: Target, Nugget, East Kent Golding. 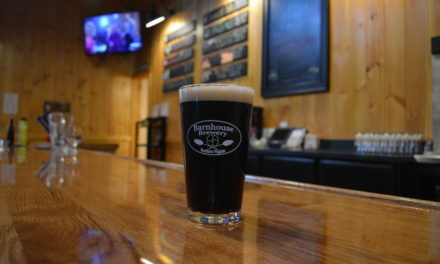 Corky’s Irish Red – Irish Red Ale ($4.25/ $5.50 / $8.50 / $15) 5.5% ABV, 20 IBU, 14 SRM A malty ale brewed with crystal malts and a hint of roasted barley. UK Northdown hops give this ale a bit of the old country. Emmanubrau (“Beer is with us”) – Christmas Spiced Ale 7.1% ABV,32 IBU, 26 SRM ($4.50/ $5.75/ $9/ $16.50) Freshly roasted malt to remind you of a warm fire, seasonal spices just like grandma baked cookies with, and a hint of spruce for a bit of that Christmas Tree aroma. Hops: Target, Northdown East Kent Golding, Fuggle.